The Game Of DOTS: How To Train Your Brain To Be An Idea Machine! How To Train Your Brain To Be An Idea Machine! 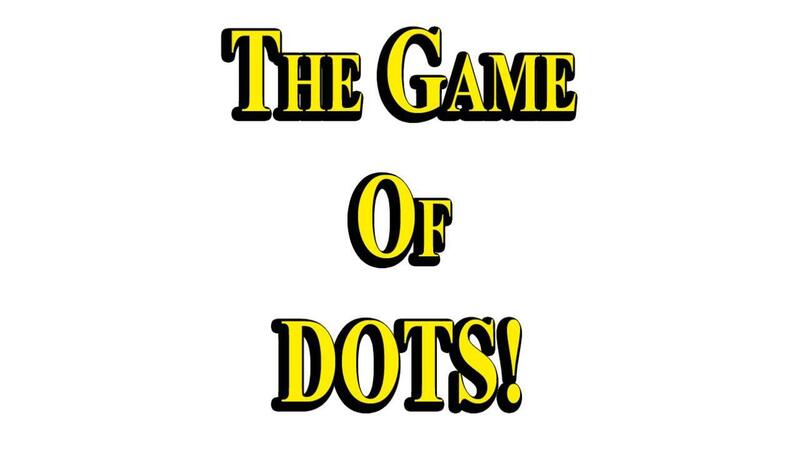 The Game of DOTS is the Game of asking yourself and other, the very best questions you can think of, to forward progress on the Topics, Projects and Goals that are most Important to You! Play Yourself, or With Others! The Players capture and organize their thoughts, ideas and action steps on the included DotBoards to better engage each other in quality questions, quality conversations, and in the process you Train your Brain to Be An Idea Machine! Capture What You Love To Do To Have Fun! DOTBoards help you Brainstorm all the things you love to do to have fun, and much, much more! Plan a Vacation... Activities you've always wanted to do in town but never seem to get to? Organize Your Thoughts... and Your Life! Capture tasks in your Roles, Goals, Projects and Hobbies. There are no limits as to what you'll come up with a share with other players! Enjoy a FREE Copy as a Member of The SELP Team! Click Here For an Instant Download! Send Me The FREE PDF Playbook!